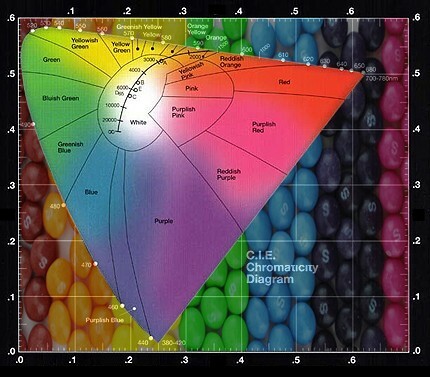 color measurements of food, beverages, industrial liquids, textiles, plastics, pharmaceuticals, and raw materials. These instruments measure the color of solid and liquid samples using either a fiber optic reflectance probe, sample fixture, flow cell, dip probe, or cuvette holder. Theyre great for use in the lab, field, or on-line/at-line production environments. Finally, the solution youve been looking for! 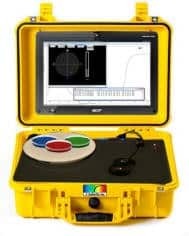 Color quality control is now affordable with a StellarNet Color Measurement system. StellarNet Modular Color Measurement Systems include a miniature spectrometer, light source, and accessory depending on your sample type. 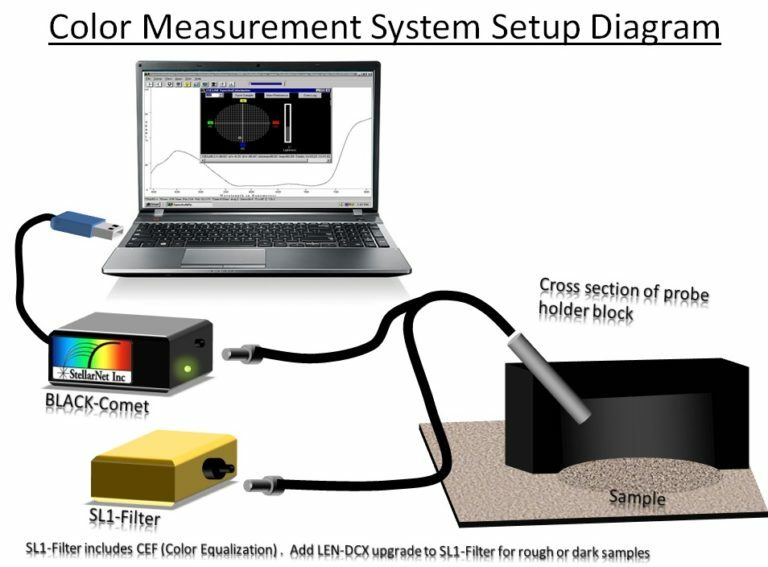 The StellarNet BLACK-Comet-CXR spectrometer has consistent resolution throughout 280-900nm and is a perfect low cost instrument for any color measurement application. As one of StellarNets concave grating models it has low stray light levels because there are no mirrors in its optical bench. It is engineered with no moving parts which results in shock proof durability, permanent alignment, and a ruggedness unmatched by any spectrometer in its field. The StellarCASE-Color integrated portable case system includes interior mounting of spectrometer instrumentation pre-configured for Open & Measure application with no additional setup required. The system includes a top mounted tablet with pre-installed Real-time spectrometer operating software for CIELAB colorimetry & dE color difference measurement. Internal main power control system with ON, OFF, & Charge buttons. 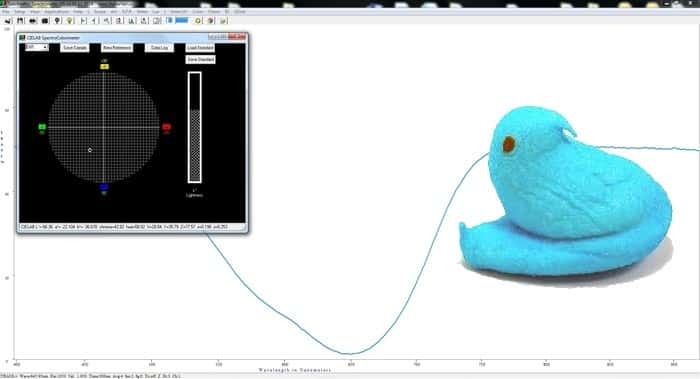 The pre-configured spectrometer equipment is covered with an acrylic sampling surface and the sampling fixture head for easy measurement & clean-up. The system battery has 8 hour lifetime for field and portable application. 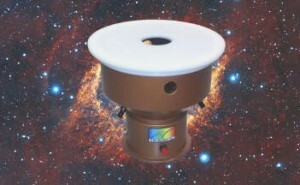 StellarCASE-NIR also available for NIR applications. 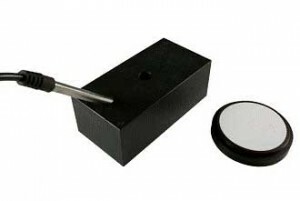 The RPH Reflectance probe is a popular accessory for color measurement. The SL1-Filter Tungsten Halogen lamp with internal Color Equalization Filter (CEQ) is used to illuminate the RPHs 7 input optical fibers. At the probe tip the 7 optical fibers are bundled around one 600um collection fiber which returns the reflected light to the spectrometer. 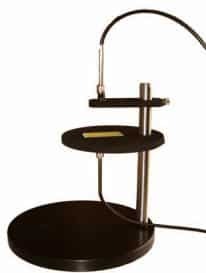 The RPH probe can be used with the RPH1 Reflectance Probe Holder block that maintains a 45 degree angle and user set distance from sample or the RPH3 is a Reflectance Probe Holder stand for 90° angle measurements. The RS50 white reflectance standard should be used to take your white reference spectrum for all color measurement applications. For measuring the transmission of thick or multi-layered such as bulletproof glass or curved samples such as lenses where light scattering may be present the TXF-IC2 is recommended. The TXF-IC2 includes 1 collimating lens and 1 miniature 2'' integrating sphere with 5/8'' collection port. 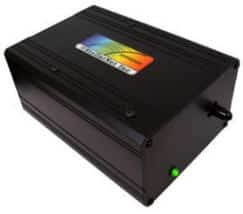 The RFX-3D Reflectance fixture has integrated light source to enable simple color measurement of solids and powders StellarNet 3-D Reflectance Fixtureby placing sample on directly on top. 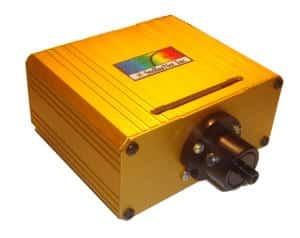 Additionally the RFX-3D has 3 fiber connectors to the spectrometer each positioned 120 degrees in a circle thus eliminating the need to rotate coarse grain samples. 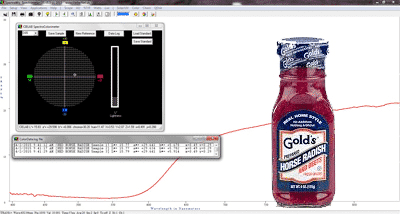 Reflectance from 3 positions is combined using special 3-to-1 fiber for spectrometer. For liquids, samples can be pipetted inside cuvettes and then placed into the CUV1 (4-way fiber optic cuvette holder) used for transmission, absorbance, fluorescence, and color measurements. 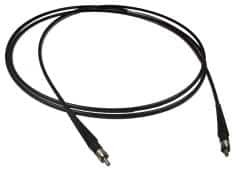 You may also use the DPH fiber optic dip probe for in situ measurements or our ATR probe for darker colored inks and dyes. A variety of flow cells and industrial probes for process monitoring applications are also available. 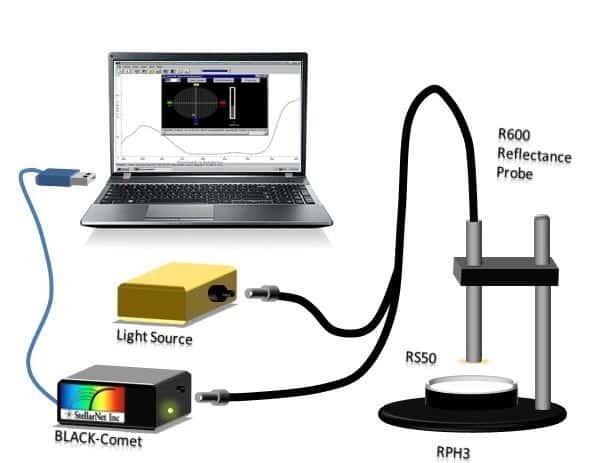 The BLACK-Comet-CXR 280-900nm, RFX-3D reflectance fixture, and an optical fiber can be used to measure the CIELab color of many types of samples. Simply place into a petri dish and set on top of the fixture. The RFX-3D collects diffuse reflectance from 3 different angles on a 1? spot and is great for non-uniform and coarse grain samples! 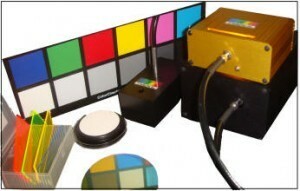 Colorimetry system for color measurements of solid samples. System consists of BLACK-Comet-CXR-100 spectrometer, SL1-Filter tungsten halogen lamp, R600-8-VisNIR reflectance probe, RS50 white reflectance standard, RPH probe holder, and SpectraWiz Spectroscopy Software. Concave Grating spectrometer for UV-VIS SpectroColorimetry, model CXR (280-900nm). Price includes slit, UV detector upgrade, integrated order sorting filters, and interface cable. BLUE-Wave VIS Miniature fiber optic spectrometer range 350-1150nm, 2048 element CCD detector. PC interface via high speed USB-2 connection.